The Twin in Berlin: This Week Really Helped Me To FEEEEL The Love. TOMORROW IS MY 11th MONTH mark HALLLLOOOOOOO that is wild. I CANT WAIT TO FIND OUT IF MEG GOT TRANSFERRED!!!!! Oh the suspense. We have transfers this week, Elder Clarke could possibly go! I don't want him to though, it's been real serving with him. This week was waaaaay fun, good and went by soooo fast!!! MONDAY we received our "mini missionary" akak JAZ Harouny. When we were street contacting we kind of split up into a pair, and then a single person so we didn't end up approaching someone in our little party of three. Jaz and I talked to someone whose friend got baptized here, we talked about Jesus Christ and he agreed to meet again! He didn't come though, which was lame, but we totally have his number so we'll be in contact. That was coool. WE TAUSCHED this week on Thurs to Friday with our stls, Sister Hahn (way hilaroius and happy) and I stayed here in Leipzig. 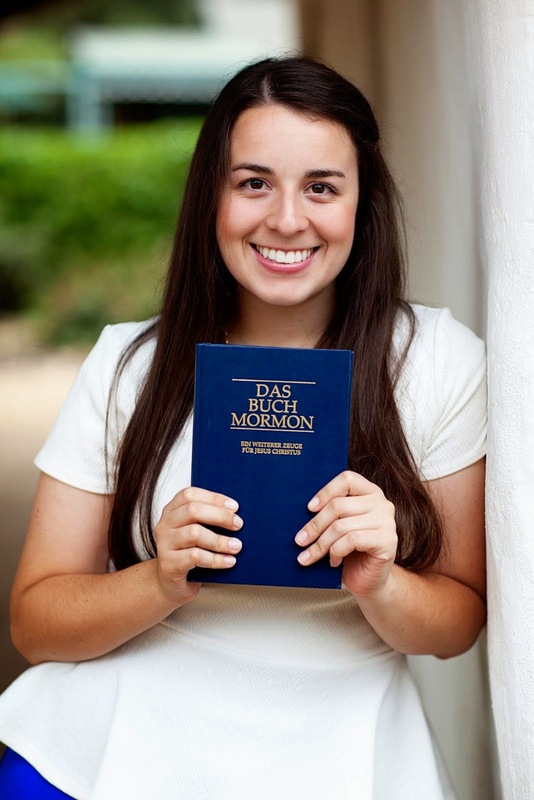 Sister Kronwitter (my MTC comp and one of my favorite people in the world!!!!!) and Sister Reed went to Chemnitz. I wasn't feeling so well so our time together was a bit weird, but I had a really solid time with Sister Hahn. The whole day Friday we had all these little tausch miracles, running into people from weeeks ago with whom we'd been trying to have contact. That was cool. Miracles are miracles, no matter how small! Saturday Sister Reed and I were both feeling a bit under the weather, we had time to be outside but all I wanted to be was in my bed. The thing is I was not dyyying, but I was not feeling peachy keen either. (challenging struggle) soooooo we stayed out anyway, and what happens? NEW INVESTIGATOR. Cue dramatic victory music- we had this cooool conversation with this guy who is spiritually satisfied but his body feels something lacking. hmmmm sounds like Amos 8:10-11 and D&C 123:12. Way cool guy, we meet tomorrow and we are prayyying our little hearts out that he will come!!!!! Lou texted us this week saying she was back in town, wanted to know when we will meet. I missed her!!! haha she is so precious!! This week I am trying to get to know the Savior better. It sounds better in German with the verb kennenlernen, to get to know. Also ich versuche ihn besser kennenzulernen. as Christians we know so much about the Savior. To be His disciples we must really KNOW Him. Christ is the only one who can help us in the best way. The more we learn about Him and ponder, the more meaning He will have in our lives. I mean I can know everything about zayn malik from One Direction (by the way he is not in 1d anymore, I didn't know that!!! why didn't anyone tell me?!) but that knowledge is USELESS. On the other hand, I can learn about the Savior and when I feel like I know Him, He can help me. Why? Because HE KNOWS ME TOO. What a dramatic difference. (man I am totally having an epiphany while writing this) I know that Christ is our personal Savior. I know that a testimony of His mission and character can change our lives. I love Him, and I know He is always there. I love to testify of Christ, and I know that we can see proof of Him in all aspects of our lives!